[I] have to confess, I have a (not-so-secret) passion for anything coated with a lusciously savoury sticky concentrated sauce that needs at least ten napkins. I’m talking about the two major food groups of sticky – ribs and chicken wings. The other dish I’ve always wondered about is that super tasty shredded deep-fried beef you can get from any Chinese takeaway. It’s crunchy and often mysteriously missing anything remotely meaty but it still has that lovely sticky coating, but I’m not keen on the deep-fried part. 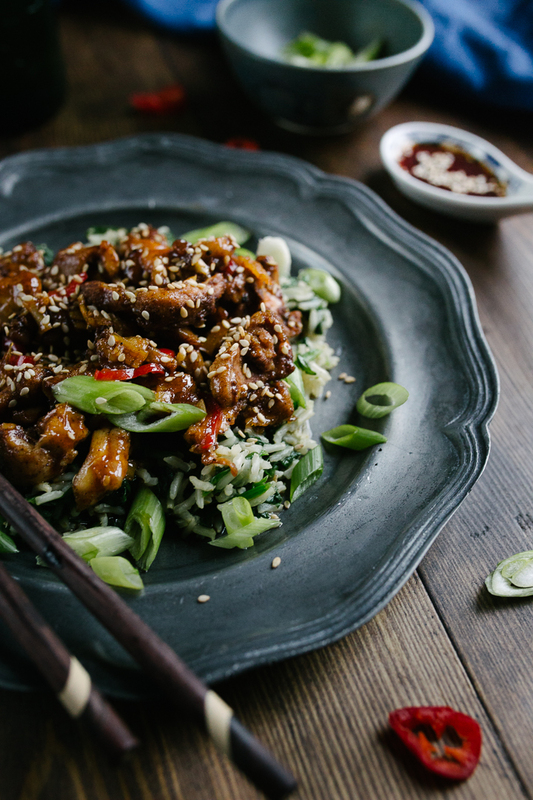 This recipe for Sticky Chicken gives you the best of both worlds. 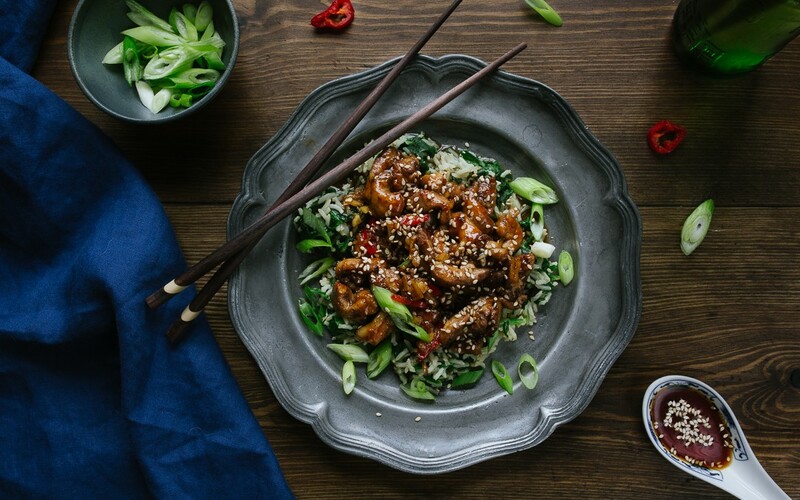 The ingredients in this recipe are nothing unusual but I have to confess, last week I was sent a box full of meals by the lovely people at Gousto. We’re not talking ready meals here. We’re talking the makings of a complete meal, every ingredient, measured out with an easy-to-follow recipe card for every meal. This answers the problem I have most often when contemplating a new recipe – I don’t have that one special ingredient so I end up not making it. 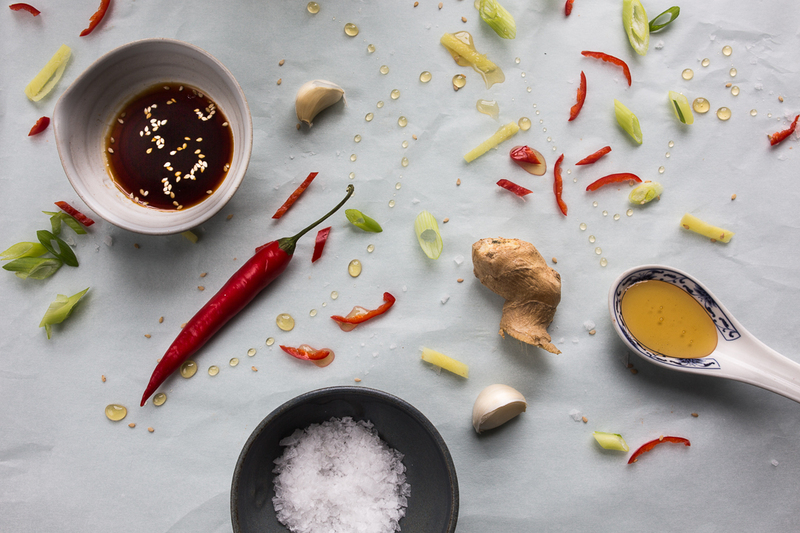 Gousto takes care of that by supplying you with every single ingredient you’ll need, all measured out. So, the Sticky Chicken – it definitely had the thick sweet-savoury coating I was after, but I had to let it cook down longer than the recommended time. My advice is to keep your chicken on a high enough heat to create a lovely savoury burnt crust. We served ours with lots of sliced spring onions. Place the rice in a saucepan, cover with water with a third to spare, add salt and bring to the boil. Once boiling, reduce heat and leave to simmer, stirring occasionally for 15 mins. Meanwhile slice the chicken into thin strips and place in a bowl with the 5 Spice and the olive and sesame oil and stir well. Add the chicken to a wide frying pan and cook for 2-3 mins until the chicken starts to brown slightly. Cover and cook for a further 5 mins on low. Meanwhile peel the ginger and chop finely and finely dice the chilli. In a small bowl, combine the soy sauce, ketchup, honey, ginger, garlic and chilli. This is your sticky sauce. Remove the lid from the chicken and add the sticky sauce. Raise the heat and cook until any liquids have boiled away and the chicken is being to caramelise. Drain the rice and return to the heat. Add the chopped spinach and cook until wilted. 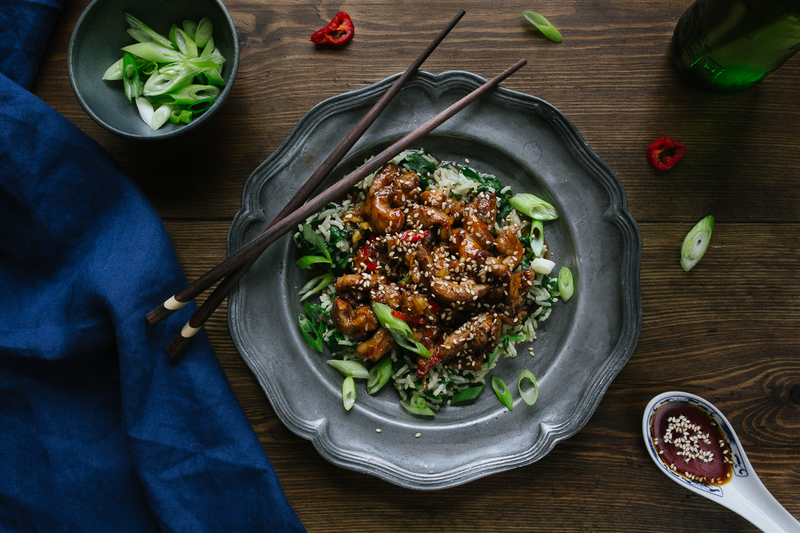 Serve the chicken over the rice and garnish with thinly sliced spring onions and fresh chillies. Melissa Love is a food photographer, graphic designer and mum of two, living in Cornwall. Eats all things Cornish. In fact, eats all things. I saw this the other day on your blog and thought it looked lovely. Just made it. YUMMMMMMMY! Tomorrow night I’m trying the cauliflower and lentil curry! Merry Christmas! Go Lynne. Glad you are trying the recipes! Now can we tempt you to try the cocktails?